Top Tenant Reaps The Rewards! Congratulations Tamara for being our Top Tenant in 2015! At H&N Perry we like to reward our tenants that always ‘do the right thing’. This year, Property Manager Julie has chosen Tamara as her ‘Top Tenant’. Tamara has been a tenant with H&N Perry for over 2 years and she is being recognised for taking such great care of her home. Tamara has won an extravagant Christmas hamper containing champagne, bon bons, Christmas pudding and many other goodies to enjoy with her family on Christmas day. A good tenant is the most valuable asset that a landlord can have. Our experienced residential property managers are extremely diligent in background screening to ensure that we find the best tenants for our property owners. If you want Mandurah’s best property managers taking care of your investment property, call H&N Perry on 9535 1822. 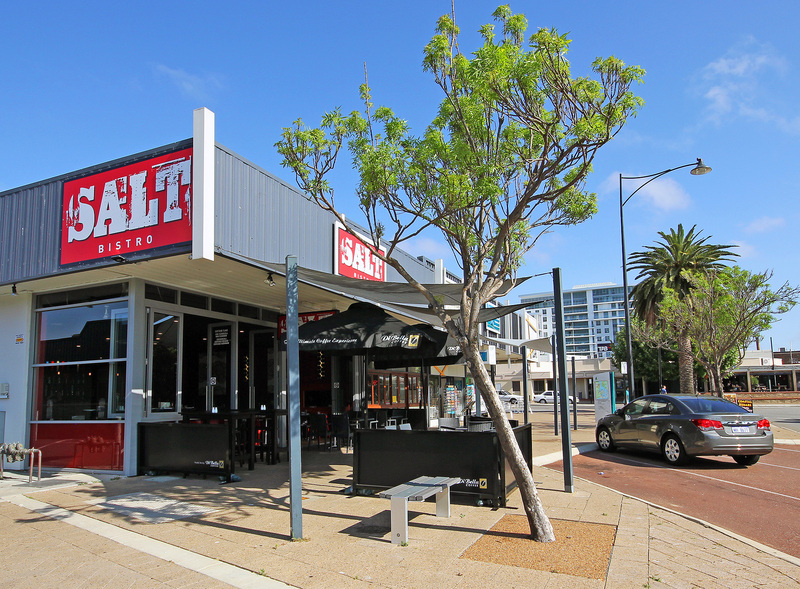 H&N Perry would like to extend a warm welcome to Salt Bistro who recently opened their doors for trading along the popular restaurant strip on Mandurah Terrace. 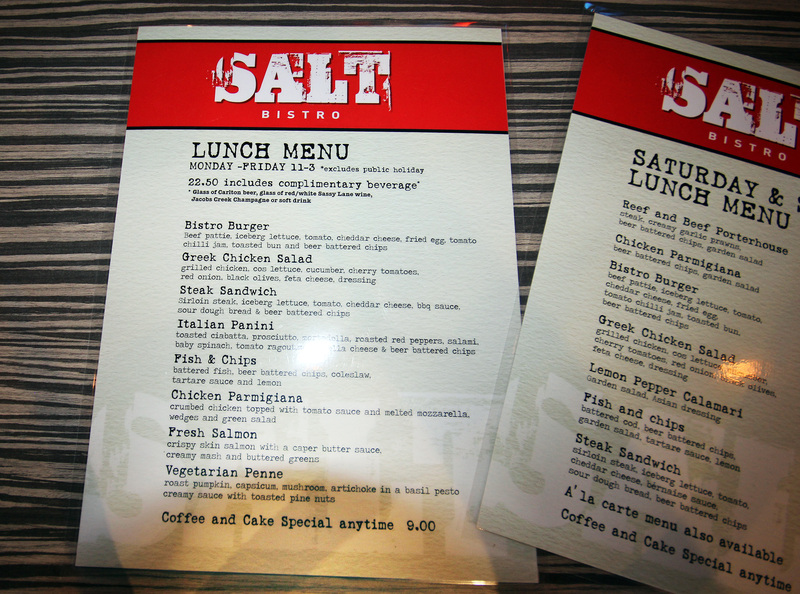 Salt are offering the residents of Mandurah a good variety of modern and traditional Australian cuisine which is already receiving rave reviews. From a ‘Salt of the Earth’ breakfast, to Pumpkin & Prosciutto Arancini Balls, through to traditional Char Grilled Steaks, there‘s something to suit everyone on the ala carte menu including share plates, desserts and a kid’s menu. The set lunch menu has also been extremely popular with the locals, particularly their weekday menu which is rumoured to have very large servings for just $22.50 including a complimentary tasty beverage. 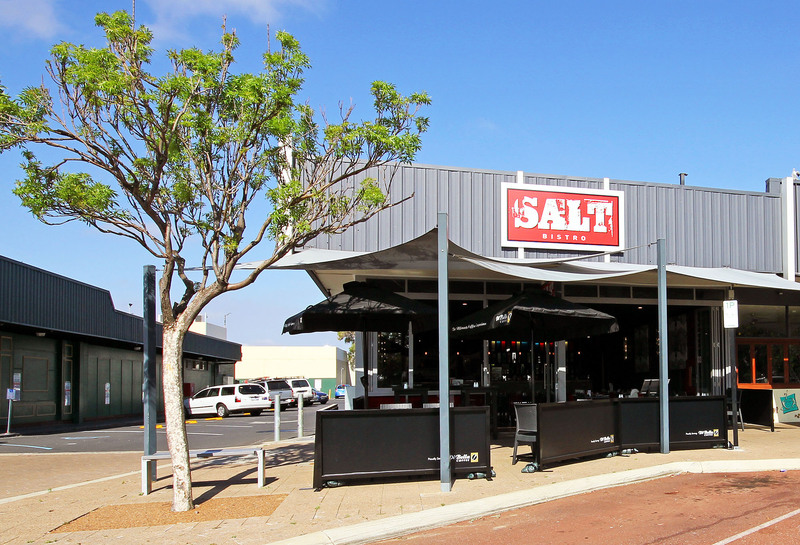 Salt Bistro is located on the end of ‘The Plaza’ facing Mandurah Terrace. It’s an ideal location that has large volumes of drive by and walk by traffic. 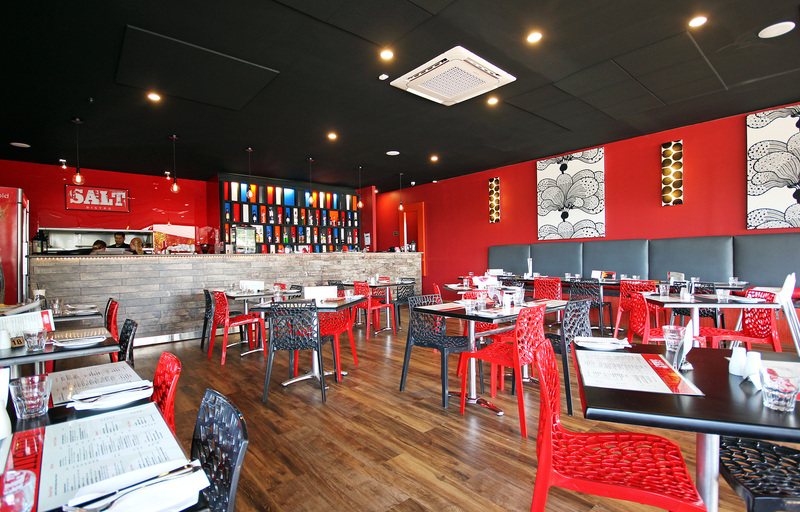 Their distinctive red signage is easily visible and ties in well with their contemporary black and red decor. The restaurant is spacious with 140sqm of floorspace plus an outdoor ‘alfresco’ dining area. It’s the perfect place for diners can to sit back and soak up the relaxed atmosphere. We wish Salt Bistro every success in their new dining venture. Salt Bistro joins many other successful retailers in The Plaza including Janice’s Coffee Pot, True Blue Gallery, Squeeze & Grind Coffee & Juice, Your Hairy Friend, Foreshore Turkish Pizzas, Acu Massage, Jesters Pies, Gommes Shoes, Australian Red Cross, Carries Boutique and Community Solutions. Being part of such a successful cluster of businesses is highly advantageous to all traders. H&N Perry are responsible for managing the entire ‘Plaza’ complex. Our team of highly experienced commercial property managers have been successfully closing lease deals in Mandurah for over 65 years. Whether you’re looking for a property to lease or a competent property manager for your commercial investment, call H&N Perry on 9535 1822. Lease Or Buy or Buy then Lease – The Choice Is Yours! Whether you’re looking to buy a high profile commercial building as an addition to your portfolio, or if you’re wanting to lease a quality office to base your business – the choice is yours with 197 Mandurah Terrace, Mandurah. Being offered for lease or sale, this is an outstanding opportunity for business owners to secure a property and lease it back to themselves. The zoning of Mixed / Commercial allows for commercial use on the ground floor plus a second storey could be added for residential use – the possibilities are endless! Located at the gateway to Mandurah with major road frontage and a high volume of drive past traffic, there will be no lack of exposure in this high profile location. The fully established office building consists of a main reception area, 5 separate airconditioned offices, a communal rear office plus ablutions. Outside there’s plenty of parking for staff and customers including three undercover parking areas. This opportunity is simply to good to pass over. If you’re interested in buying 197 Mandurah Terrace, call exclusive sales agent Frank Lawrence on 0412 903 375. 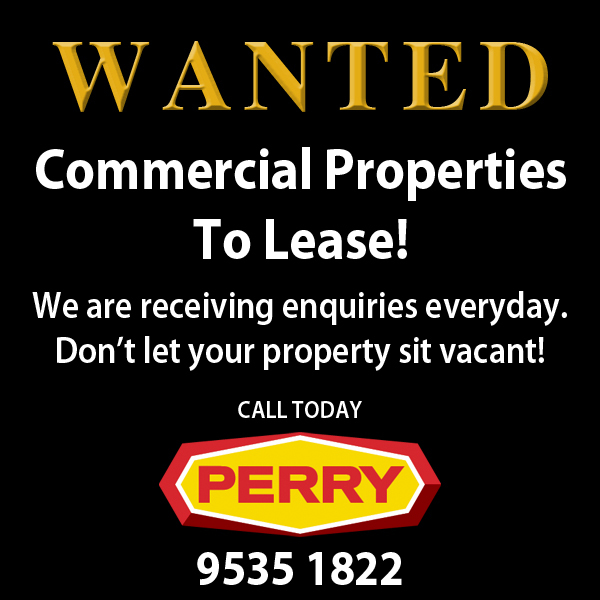 If you’d like to secure a lease for the building call Commercial Property Manager Jan Wiley on 0414 535 724 at H&N Perry real estate. Either way, you can’t go wrong – call today! So you’ve decided to list your house for sale, or maybe you’re looking for a Property Manager to manage your residential or commercial investment? Either way you’re going to want the best real estate agency to look after your Mandurah property and that agency is H&N Perry real estate. 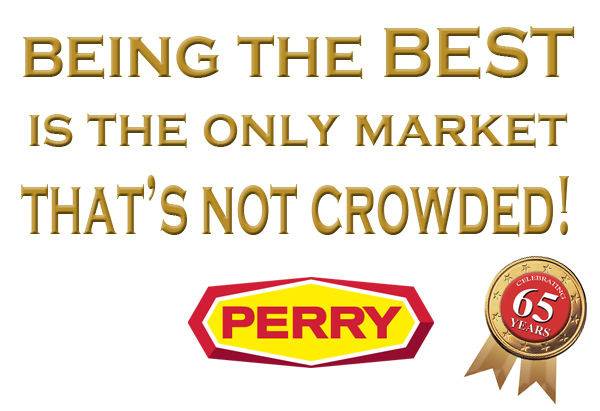 At H&N Perry, our sales department is purely results driven. We work for you – the Seller. Our aim is to get you the highest price with the least amount of disruption, and we’re willing to put our money where our mouth is. Other real estate agents will require you to pay up front marketing expenses such as professional photography, newspaper advertising and signage. At H&N Perry we provide these to you for FREE! That’s right – you pay nothing! When you list your property with H&N Perry you have nothing to lose because if we don’t sell it for you, it costs you nothing. The Sales department is led by 25 year veteran of the industry, Frank Lawrence who is backed by a motivated team of sales professionals who are highly experienced in Peel Region house and land sales. H&N Perry’s commercial property department are industry leaders in the Mandurah / Murray region. Our team are up to date with current government legislation and are highly experienced in lease writing and strata management. We understand the importance of finding quality tenants and keeping them in place so that you can achieve the highest possible rental yield. Led by Jan Wiley, the leasing team consists of specialists in commercial, industrial, retail and residential property management. 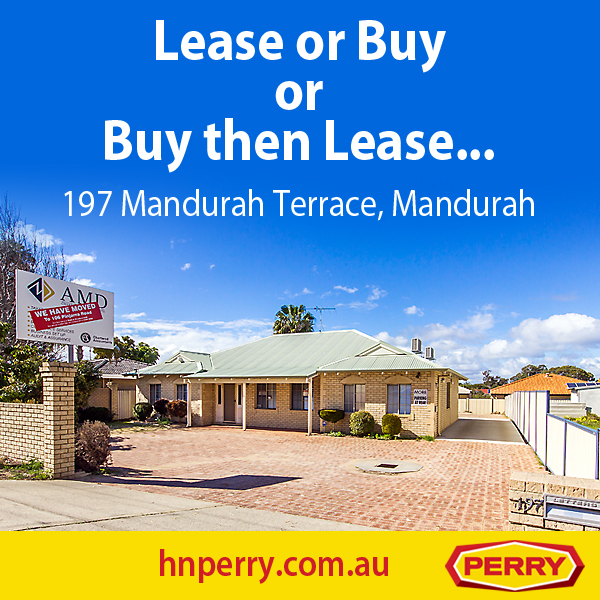 H&N Perry have been selling and leasing property in Mandurah for over 65 years. Our reputation is built on a solid foundation of trust within the Peel community. When you’re choosing a real estate agency to deal with your property, choose the best – H&N Perry. Make Tax Time – Happy Time! Tax time is upon us again and if you’re like most people, you’ll be looking for ways to simplify your tax return and reduce the amount that the taxman takes. If you’ve already started your investment portfolio, you can take the stress out of tax time by using a professional property manager. At H&N Perry, we supply our owners with monthly income statements, quarterly BAS statements for commercial investments and an annual summary with clearly itemized income and outgoings. What’s more, the cost of using a property manager is also tax deductable! So, what are you waiting for? Call H&N Perry today and get your property portfolio moving before the end of the financial year. Call 9535 1822 or visit our waterfront office on Mandurah Terrace, Mandurah. Everybody knows that a vacant property is worth much less than one that is tenanted. This couldn’t be more true for commercial properties which are valuated by their rental income and strength of lease. This year alone, H&N Perry have signed up new leases for five different commercial buildings. These have ranged in size from 45m2 to 700m2, with a variety of uses including office space, retail showrooms and industrial workshops. A lease is a legal document, and as such requires a high attention to detail. It is a wise move to use an experienced Property Manager in order to avoid pitfalls that can occur with both tenants and the tax man. Although we are Mandurah’s leading Commercial Property Managers with over $150 million worth of property being managed, we take the time to attend each lease individually, and the proof is in our very low vacancy rate. H&N Perry’s Commercial Property Managers, Brian Matthews and Jan Wiley are extremely experienced in drawing up and closing lease deals that are beneficial to both the owners and the lessees. Our office is receiving enquiries everyday for industrial workshops, showrooms, retail and office space – and we need more stock to sign them up! 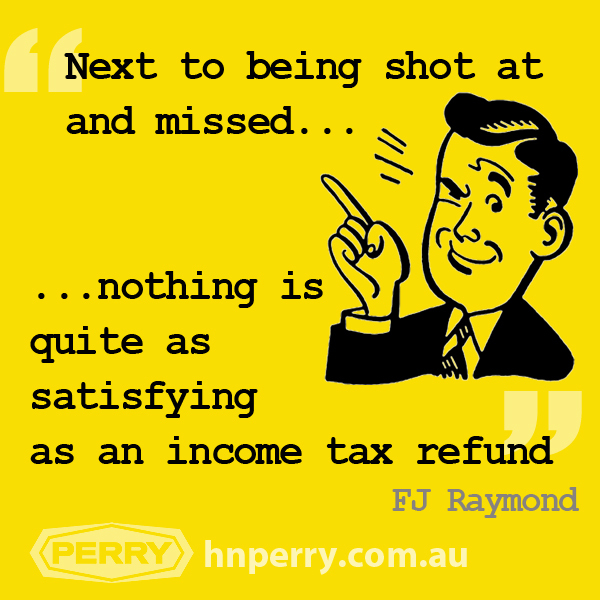 Don’t let your investment sit vacant – call H&N Perry Real Estate today on 9535 1822.